In summer, Le Genévrier offers you an exciting array of activities that will keep you busy all day long. 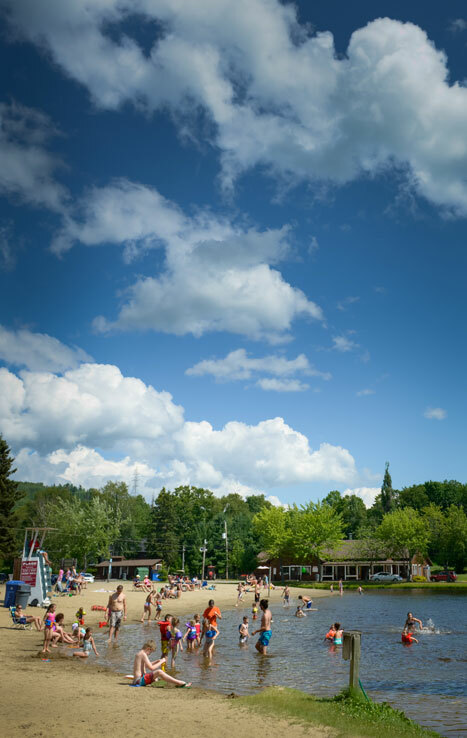 Enjoy our swimming lake (with qualified lifeguard), tennis courts, beach volleyball court, mini-golf course, walking and mountain bike trails, kayaks, pedal boats, and more. All activities are free for cottage occupants. 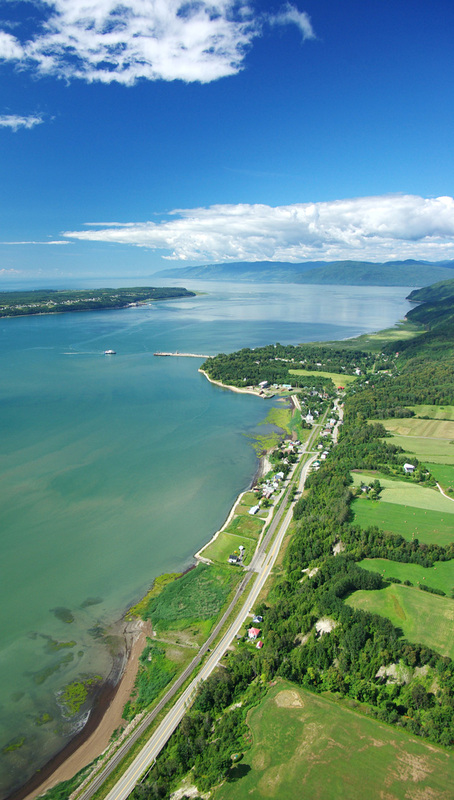 The Charlevoix region is renowned for its gorgeous vistas. 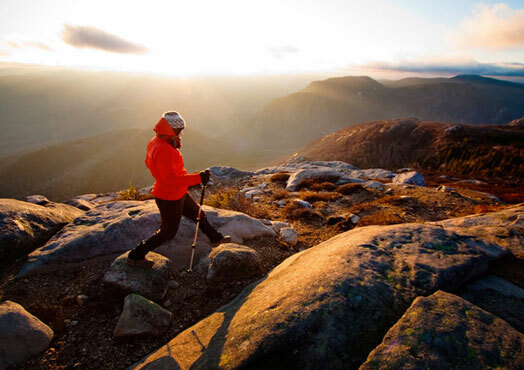 With its wide array of year round activities, it’s a nature lover’s destination of choice. 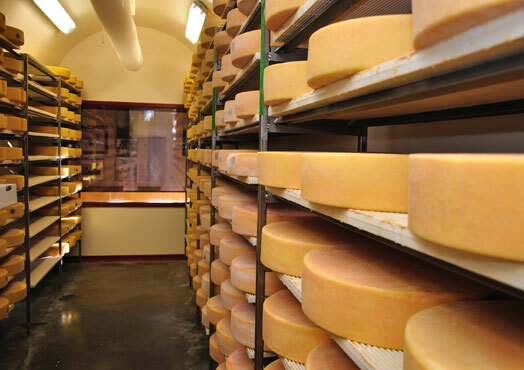 A family-run business since 1948, besides fresh cheddar, it now makes aged cheddars using both pasteurized and raw milk as well as a soft cheese, le Fleurmier. L'Origine, le 1608 and l'Hercule are also made there. 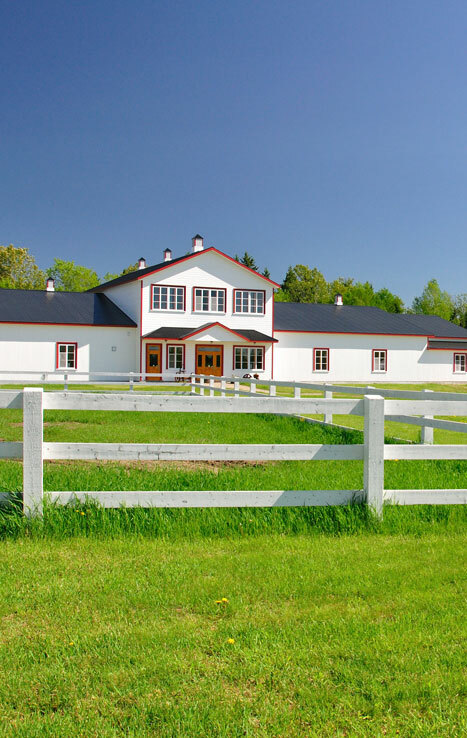 ( 5 minutes away ) The birthplace of internationally renowned Cirque du Soleil and a favorite of Canada’s Group of Seven painters, Baie Saint-Paul with its more than 85 century-old homes sits in a lovely valley and still attracts artists today. 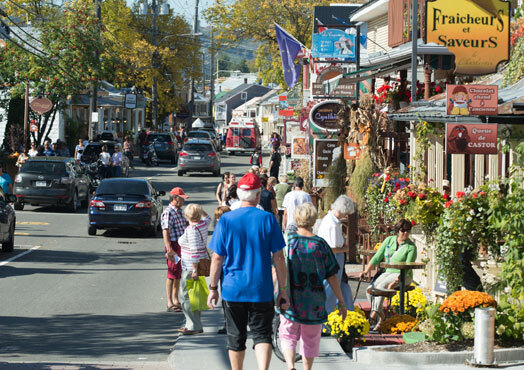 Strolling along its narrow streets lined with quaint boutiques and art galleries is a great way to discover and fully enjoy one of Québec’s oldest towns. 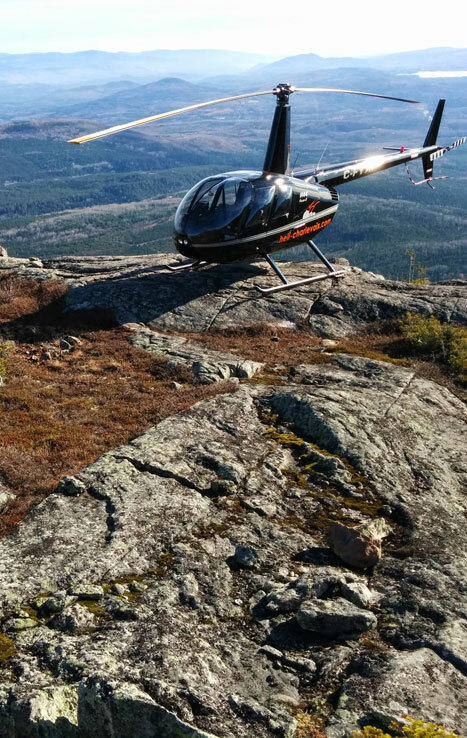 The nearby Petite-Rivière-Saint-François, a scenic six-kilometre drive down the mountain to the St. Lawrence River is another favorite of visitors. 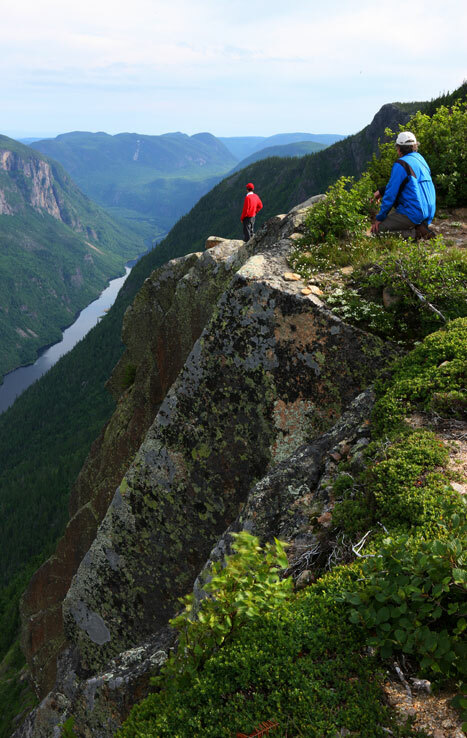 ( 30 minutes away ) Parc national des Hautes-Gorges-de-la-Rivière-Malbaie was named after a series of valleys cut deep into a range of high mountains.The Hautes-Gorges-de-la-Rivière-Malbaie are among the highest rock faces East of the Rockies! ( 20 minutes away ) In the early 20th century, this area was already known for its incredible fishing opportunities. Visitors were struck by the carpets of ground lichen and the exceptional Arctic vegetation at this latitude. They thus named it the Grands-Jardins-the Great Gardens. 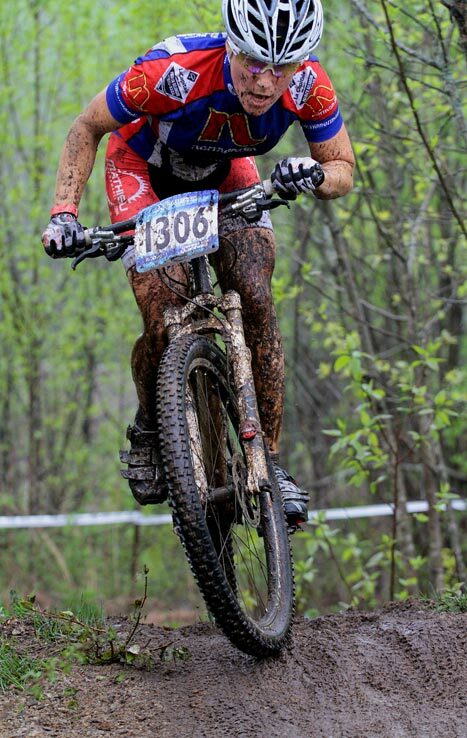 ( 40 minutes away ) Le Casino de Charlevoix is annexed to the prestigious Fairmont Le Manoir Richelieu Hotel. 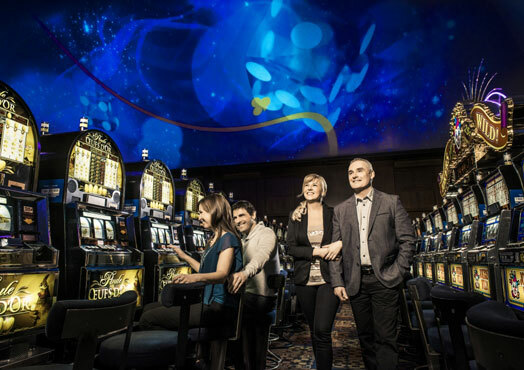 The Casino showcases a unique game and entertainment experience featuring cutting edge technology. Choose from over 900 slot machines, countless table games and awesome multimedia shows and performances. Admission to the Casino is restricted to persons 18 years+. 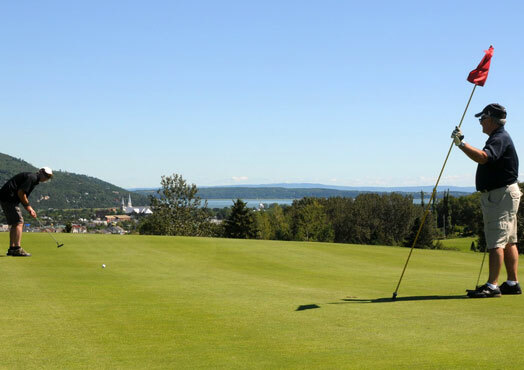 ( 2 minutes away ) A golf course located in the beautiful region of Charlevoix in Baie-Saint-Paul, offers a unique experience for golfers with a 18-hole course with magnificent views of the river and the mountains of Charlevoix. 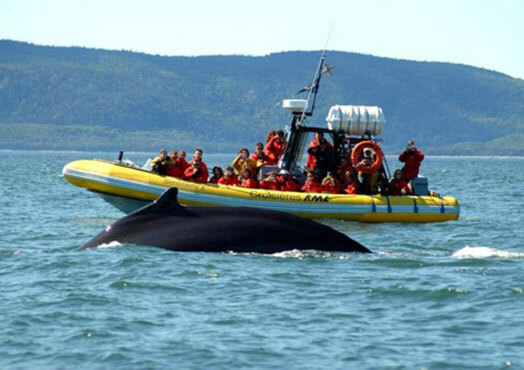 ( 1 hour away ) Situated at the confluence of the St. Lawrence River and the Saguenay Fjord, Tadoussac and Baie-Ste-Catherine are the main entrance to the most beautiful whale watching site in the world! This exceptional environment is teeming with rich food for marine mammals, making it a privileged destination for an unparalleled experience with nature. Riding the Charlevoix Light Rail Transit blends practicality and fun. 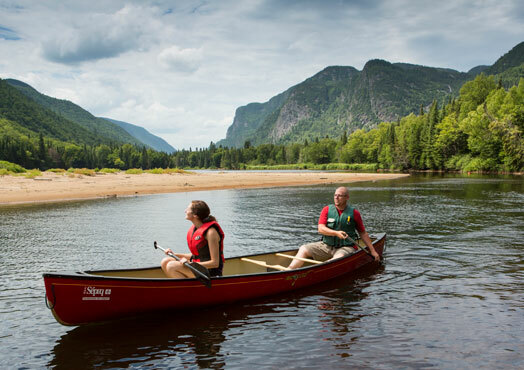 Simple, affordable and flexible, the spectacle between river and mountains is simply stunning. 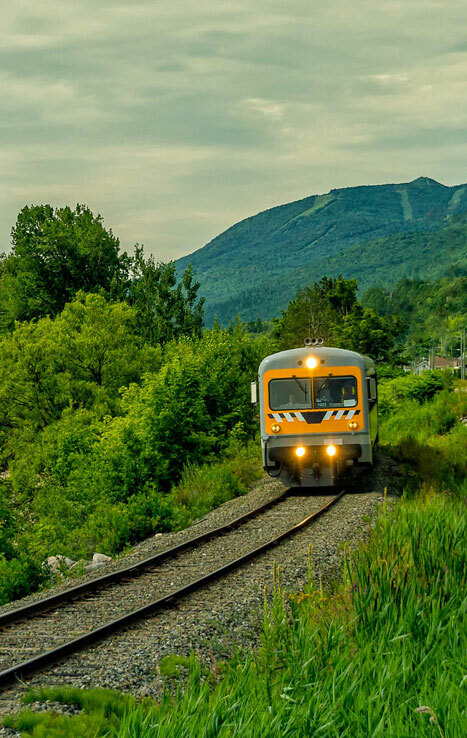 The LRT travels from Québec City to Charlevoix, with stopovers at a string of quaint villages en route to La Malbaie. 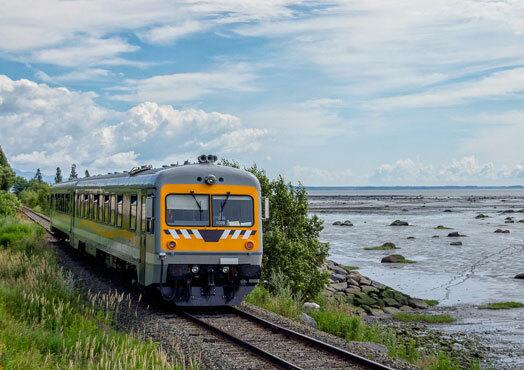 A unique rail cruise showcasing over 125 kilometres of scenery that changes with every tide, and only offered by the LTR!